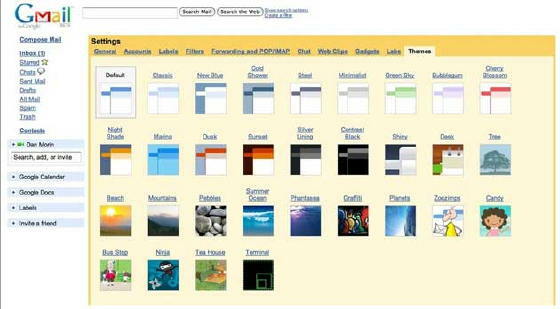 Gmail Themes. That's Totally Ninja. Apparently a lucky few Gmail users had a “Themes” tab pop up under settings. No longer do you have to suffer through the boring-if-functional standard Gmail interface for the 16 hours a day that you keep the page loaded. Try “Ninja” instead.